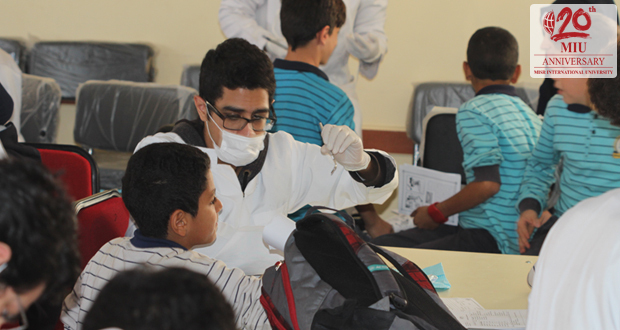 MIU Dentistry students conducted a fieldtrip to El-Shaheed Ashraf El-Qazaz School in El-Shorouk City on November 24, 2016. 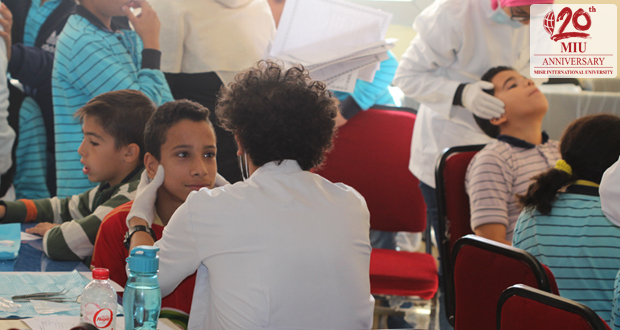 The Fourth Year “Group 2” students conducted a free dental screening for 64 preparatory school students, applying the concepts and skills taught through the oral diagnosis course. The students engaged school children in a learning session aimed at raising awareness of oral hygiene. 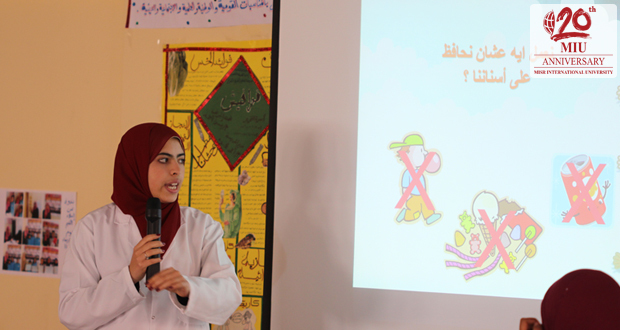 Interns were responsible for examining primary school children and giving instructions to the school administration regarding their dental needs. All examined students were given educational materials, tooth brushes and toothpastes at the end of the visit.